Berkeley is one of only three California cities with its own Public Health division. Through this department, the Aging Services Division, and other partners such as Lifelong, Center for Independent Living, and Kaiser and Sutter and many other community services, there have been a number of programs created and implemented to provide help and support specifically for individuals over the age of 60. Through our senior centers the Aging Services Division offers a variety of free classes, workshops, and social events for adults 55 years of age and older (60 years and older for the lunch program). Currently, more than 1,200 seniors participate in activities held daily at two distinctive neighborhood Centers or in the home-delivered meal program. There is a range of programs at the two city senior centers that attract seniors with diverse backgrounds. Targeted case management is available to anyone living in Berkeley who is over the age of 65 and free noontime meals for seniors as well. For those who cannot or do not want to leave their home, Meals on Wheels is contracted to supply a balanced meal right to their doorstep. Smaller programs include van transportation to and from the Senior Centers, computer training workshops, and caregiver support, which provides consultation, information and assistance, and education for family caregivers. 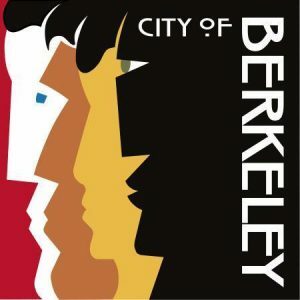 Berkeley also has a Commission on Aging which is actively focusing its efforts on outdoor space and making Berkeley’s sidewalks more handicap friendly. They have received funding and are in the process of implementing their two year plan.